Welcome to Shagbark Resort, a cabin community located just ten minutes outside of downtown Pigeon Forge, Tennessee. This hidden oasis is tucked deep in the wilderness to allow guest to experience a truly unique oneness with the serenity of nature. The cabins can sleep between six and fifteen adults comfortably. So, whether you're a small family or large group of friends, we have you covered! 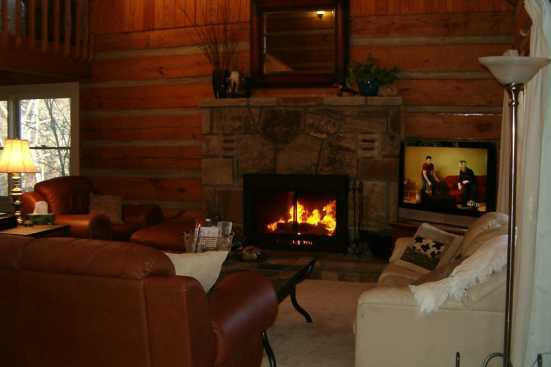 With the cabins remote location, you won't have to leave the resort area to experience the Smoky Mountains. There are multiple hiking trails just steps from the front door of your cabin. If you do decide to leave the resort area, consider heading ten minutes up the road to Dollywood. Dollywood is a themed amusement park named after famous country musician Dolly Parton. Fun Fact: Dolly Parton was born in Pigeon Forge. Dollywood offers many unique retail outlets in the park as well as over forty thrilling rides. If you're looking for a little more serenity in your vacation, consider taking a guided tour of the hidden waterfalls in the world-renowned Smoky Mountain National Park. SmokyMountainsByOwners.com is your one-stop shop for planning and booking your Eastern Tennessee vacation. From secluded wilderness views from your cabin to fun-filled days riding rides and shopping at Dollywood Shagbark Resorts offers you escape from your everyday life and a truly unique vacation opportunity. Amazing Grace-How Sweet the View! Private Cabin w/Screened in Hot Tub! Cozy Emerald Ridge! Free Wi-Fi! On a year round creek with FREE Wi-Fi!